The 26-year-old aspirant is also married with two lovely children. 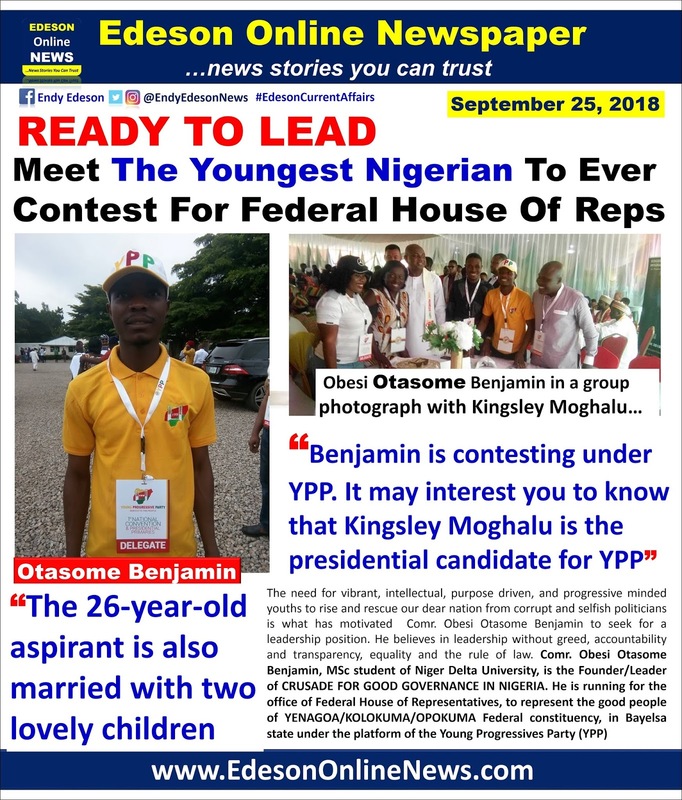 Benjamin is contesting under YPP. It may interest you to know that Kingsley Moghalu is the presidential candidate for YPP. Progressives Party, Bayelsa state chapter. 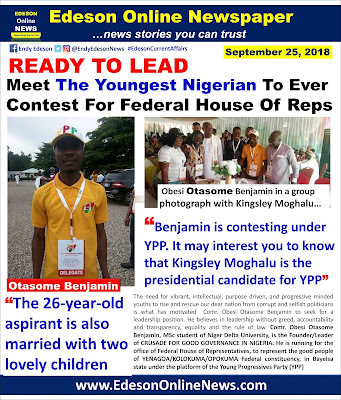 the platform of the Young Progressives Party (YPP). must be heard, that diplomacy and international cooperation must be improved and sustained. We believe in Unity, Service and Accountability. Thank you Sir Endy Edeson for the the Good work. If I have my way, I will vote for you. ..
Yeah, Chibuike, Mr Benjamin at 26 doing contesting for this and making history for himself is commendable.